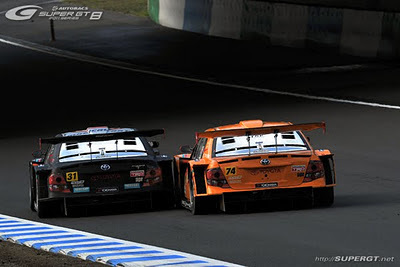 Super GT is coming up on their 2012 season with some new entries that seem to be a big talk on the car sites. The big news is about Japanese car manufacture Toyota and their new attempt in the GT300 class with a Prius! A 300hp hybrid Prius! Team APR is responsible for bringing the world famous hybrid to GT300 spec. The team last year ranked 6th and 14th overall with a pair of Corolla Axio GT's. 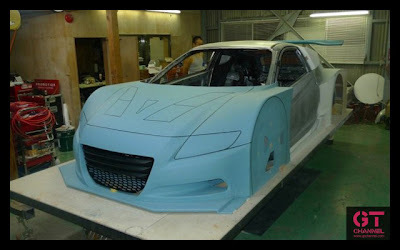 There is another race car in the mix that is awaiting the public finished product from Team JIMGAINER who is replacing their Ferrari GTC race car for a GT300-spec Honda CR-Z.